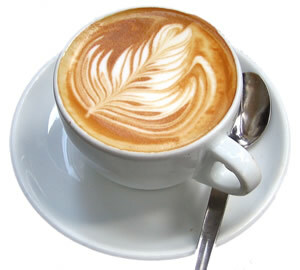 Wayne Mansfield: Flat White appears on Starbucks menu board - Australia's gift to the world. Flat White appears on Starbucks menu board - Australia's gift to the world. Australia is less and less influenced by the views of Americans. Where Americans can’t see anywhere else in the world, we have influence from Asia, UK Europe and the US. Just a simple example is coffee… none of that dreadful brewed stuff for us Aussies. Our coffee culture had two dramatic effects on Starbucks… Starbucks closed down stores in Australia as we don't like the sweet stuff that passes are drinks in Starbucks. Starbucks relaunched in Australia with flat white [ according to Costa Coffee from the UK “Australia’s gift to the world” ] on the menu… it has also been added in the UK. As I haven’t travelled to the US for 5 years I am not sure it has reached their yet but Hugh Jackman is doing his best to spread the sheer delight of flat white to America.